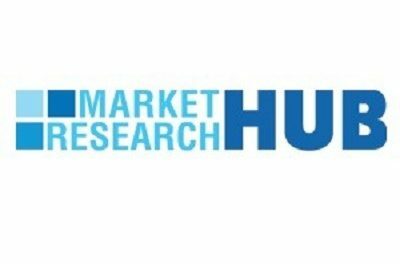 Albany, US, 2019-Mar-18 — /EPR Network/ —This research study added to the broad database of Market Research Hub (MRH) focusing on the Strategic Market Intelligence: General Insurance in Morocco – Key Trends and Opportunities to 2021 delivers an in-depth outlook to present information about executive summary and key performance indicators. Furthermore, readers can gather knowledge about the economic status, demographics and competitive landscape which is prevailing in the concerned industry during the review period, 2021. Overall, the purpose of this assessment is to present a clear picture highlighting the transformations expected to occur in the Strategic Market Intelligence driven by major trends and opportunities. GlobalDatas “Strategic Market Intelligence: General Insurance in Morocco – Key Trends and Opportunities to 2021”, report provides a detailed outlook by product category for the Moroccan general insurance segment, and a comparison of the Moroccan general insurance with its regional counterparts. It provides values for key performance indicators such as written premium, incurred loss, loss ratio, commissions and expenses and combined ratio during the review period (2012-2016) and forecast period (2016-2021). The report brings together GlobalDatas research, modeling and analysis expertise, giving insurers access to information on segment dynamics and competitive advantages, and profiles of insurers operating in the country. The report also includes details of insurance regulations, and recent changes in the regulatory structure. This report provides in-depth market analysis, information and insights into the the Moroccan general insurance segment. – Key insights and dynamics of the Moroccan general insurance industry. – Comparison of Moroccan general insurance segment with regional counterparts, along with premium trends and key profitability ratios. – A comprehensive overview of the Moroccan economy, government initiatives, FDI, country risk, investment opportunities and enterprise structure. – Morocco’s insurance regulatory frameworks evolution, key facts, taxation regime, licensing and capital requirements. – Morocco’s general insurance industrys market structure giving details of retail and commercial lines of business with market shares. – Distribution channels deployed by the Moroccan general insurers. – Details of the competitive landscape, M&A and competitors profiles. – This report provides a comprehensive analysis of the general insurance segment in Morocco. – It provides historical values for the Moroccan general insurance segment for the reports 2012-2016 review period, and projected figures for the 2016-2021 forecast period. – It offers a detailed analysis of the key categories in the Moroccan general insurance segment, and market forecasts to 2021. – It analyzes the various distribution channels for general insurance products in Morocco. – It profiles the top general insurance companies in Morocco, and outlines the key regulations affecting them. Market Research Hub (MRH) is a next-generation reseller of research reports of different sector like banking market research and analysis. MRH’s expansive collection of industry reports has been carefully curated to help key personnel and decision makers across industry verticals to clearly visualize their operating environment and take strategic steps.